Mount Merrion Historical Society would like to advise you of our upcoming talk at 8:00pm on Thursday 2nd May in Mount Merrion Community Centre. Delia Murphy, or Murphs, as she was known, was born in 1903 in Mount Jennings, Claremorris, Co. Mayo. Her father John, the son of a poor tenant-farmer, had bought the local Mount Jennings big house, having made his fortune in the Klondyke and Leadville mines. 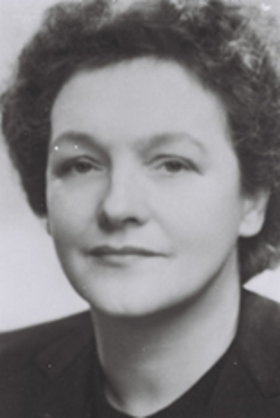 She was married to Thomas Kiernan, Irish Ambassador to Australia (twice), Germany, Canada and The United States. Delia is credited with laying the ground-work for the Irish folk revival. From her earliest days she was attracted to the ballads she heard from wandering journeymen, minstrels and tinkers round their camp fires. In the 1930’s through until the late 1950’s she had the nation singing along with songs such as If I were a Blackbird, The Spinning Wheel and Three Lovely Lassies She also worked fearlessly in the highly secretive and very dangerous ‘spies parlour’ escape network operated by Mons. Hugh Flaherty, the ‘Scarlet Pimpernel of The Vatican’ in German occupied Rome.